This is a scalper system. ScalpelSpeedM should be optimized once per month. After that, it shows excellent results on a forward period (exceeding the historical one several times) that can be seen on the screenshots. 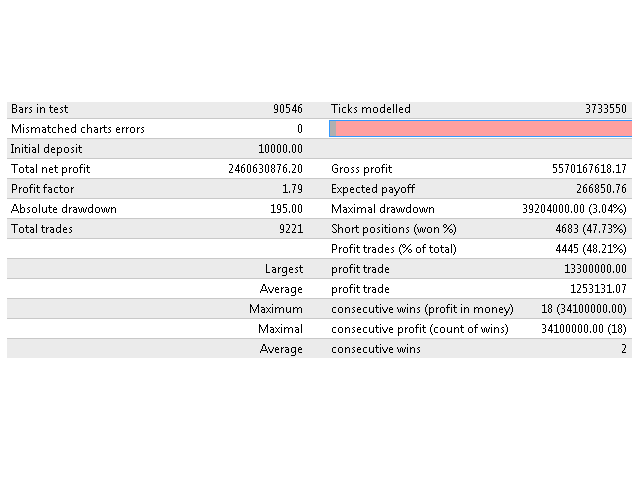 A broker with a floating spread starting from 6 pips will be perfect. There are such brokers in the market. When the spread is lower than the value set in the course of optimization (for example you set 10-14 pips), than the entry can be expected when a signal occurs. I.e. entries will be rarer than when the tester has ideal values. Magic — the identifier of the EA's trades. MaxSpread - spread limitation (the EA will not enter the market if this value is less than the real spread). TrailingStart — the distance in pips to start trailing. Commission — an important parameter (just like spread) for the accounts where commissions are used. 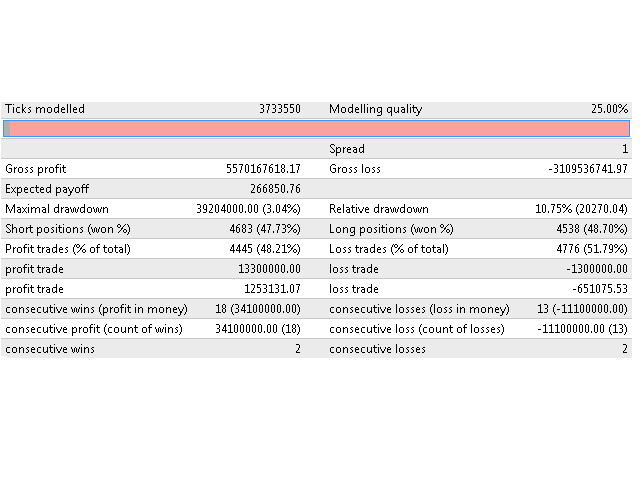 Configure this parameter both in optimization and real trading. 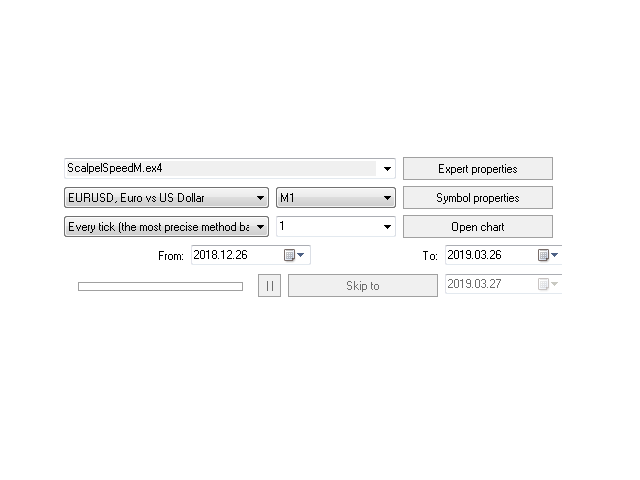 Calculate the commission in pips and set the value in pips as an additive to spread. Slippage — maximum allowed slippage. VolatilityMultiplier — an important parameter. An order will be placed only if volatility is above this relative parameter (the higher the parameter, the higher volatility is required for entering the market). VolatilityPercentageLimit — the parameter in percentage means that an order will be placed if the ratio of real volatility to the selected Multiplier parameter is greater than the specified percent. OrderExpireSeconds — pending order lifetime in milliseconds. Trade on M1-M15. The EA can be used on any symbol. I recommend testing it with the broker providing five-digit quotes, and even better on MetaQuotes-Demo server. Also, it is recommended to work on liquid Forex pairs with low spreads and use VPS. The minimum starting deposit is $100 and the minimum lot is 0.01. The less the commission and spread, the higher the profit. The worse the connection lags of your broker, the larger stop loss, take profit and trailing start you should set, so that the server is able to process them at a necessary price, since the tester executes all requests with no delays. When testing, the spread can be adjusted in the tester. Your main task is to find a broker with a low spread. Use every tick during the tests.